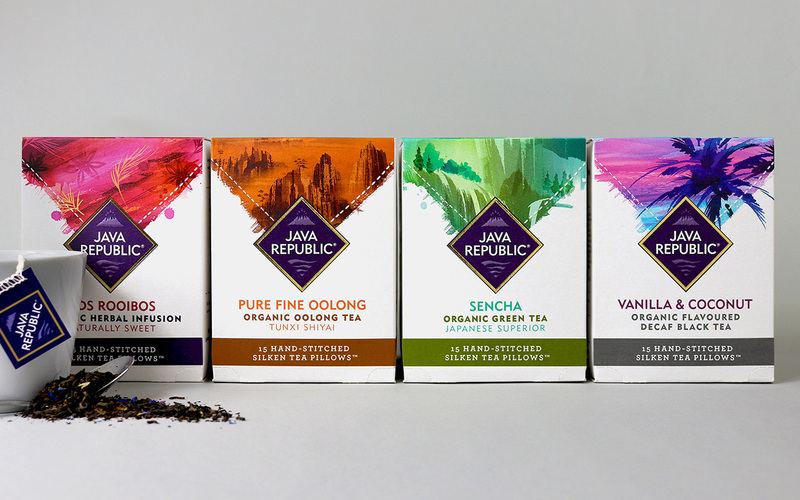 Irish premium, natural tea brand Java Republic needed a brand and range design to reflect the heart of their brand – care, craft and high quality. 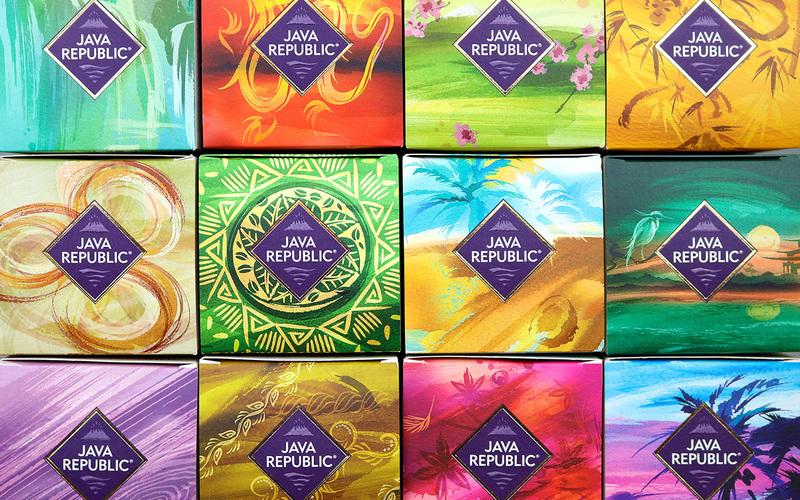 We refined their identity whilst ensuring pack differentiation through different variants. 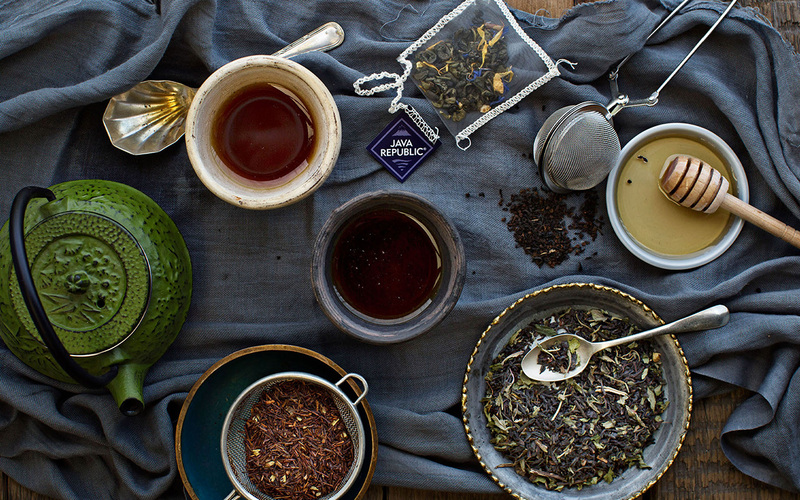 Each pack was designed to reflect the heritage and story of each flavour and ingredients, through the use of colour bands and unique illustrations. 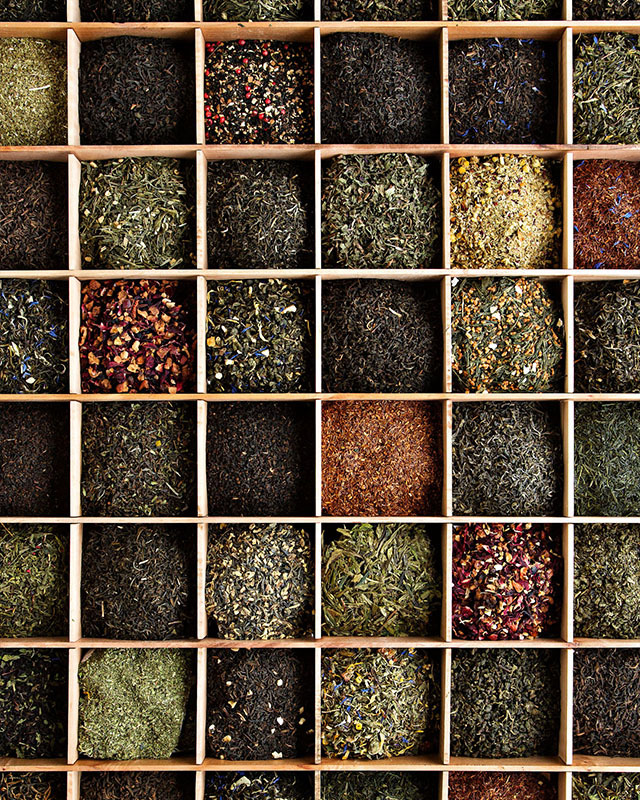 This ensured shelf stand-out and clear range navigation for shoppers. The rebrand and repositioning increased sales 50% within a year, with online sales up by 60%, leading to listings in major retailers.